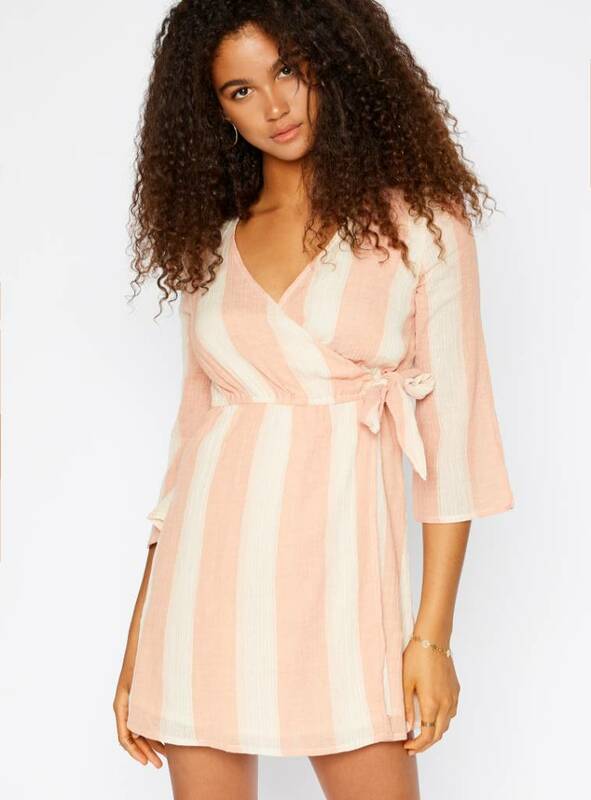 Blush/off-white multi-striped faux wrap mini dress with a three-quarter length sleeve and a self-tie waist. Fully lined. Model is 5'9 1/2" and is wearing a small. Hand Wash Cold. Hold Ends When Wet, Twist Tightly & Knot, Leave To Dry.